Two developments, one at the centre and the other in a state, provide insights into why we pay high salaries that should go to more worthy causes. 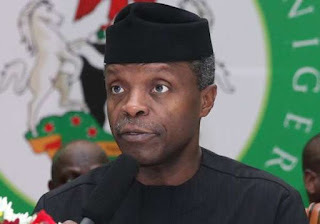 The vice-president, Professor Yemi Osinbajo, noted with regret that the nation needed about N700 billion to pay salaries, pensions and other civil service entitlements every month. In the maritime state of Bayelsa, Governor Seriake Dickson lamented what he described as “monumental fraud” in the state’s civil service, especially in the third tier, otherwise known as the local governments. Governor Dickson noted that 80 percent of workers in the local governments receive salaries without evidence of work, adding that the subsectors of health, primary education and bureaucracy contributed negatively. Dickson stated, “It is a complete mess. When the economy was robust, the local governments received N200m, their wage bill was about N150m or N160m. Now when a local government is receiving N90m, how do you expect them to pay? He noted that the majority of the workers had no credentials. He stated that a specific primary school with a headmaster had 10 clerks, 30 cleaners and 20 labourers with the average age of the workers put at 70. This clearly is a case of ghost workers. “Bayelsa people themselves must stop blaming the wrong people. If our allocations were down, how do you want local governments to pay these fraudulent salaries? Will they steal money to come and pay fraudulent salaries? Or as a governor, I should stop everything I am doing to come and pay fraudulent salaries?” said Governor Dickson. What Governor Dickson revealed reflects the widespread skepticism about the workability of the local government system as we have it today. Some analysts have called for the independence of the sector while others have argued that the local government is subject to the state government, which represents units of a federal system. If ever we are to have a local government system, it could not be the type that operates today. It shows that productivity is still lacking in our country and no country can develop when citizens prefer to cheat rather than work. We recall that this was a big problem in Lagos State until the Tinubu administration did a technologically driven audit that pruned the payroll brutally. “The President Muhammadu Buhari-led administration is working to achieve inclusive and sustainable growth after a period of declining revenue earnings as a result of the twin impact of falling oil prices and production volumes,” said Professor Osinbajo. We need productivity and prudence. The sort of fraud highlighted by Governor Dickson has no place in that future.